After state legislators overwhelmingly passed a bill to decriminalize small folding knives, Gov. Andrew Cuomo says he is debating whether or not to sign the legislation. 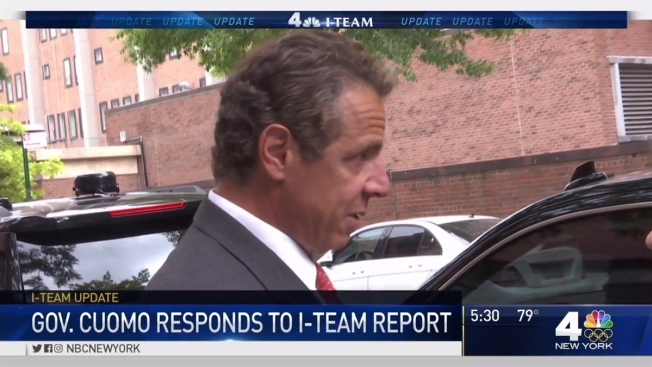 "It's a bill that we're reviewing, but there are two sides to the story," Cuomo said. "A lot of New Yorkers don't think other New Yorkers should be walking around with knives. We have a violence problem in this city. That's one side of it. The other side is many working people carry knives as part of their job." Over the last year, the I-Team has reported on the arrests of artists and craftspeople like Walt Seager, an electrician who was handcuffed and put in a holding cell all because he was carrying the folding knife he used to strip wire. Seager was charged with possession of an illegal "gravity knife," a little understood provision of New York's penal code which outlaws blades that can be deployed using the force of gravity or centrifugal force. For years, critics have complained that definition allows a police officer to declare almost any legally-purchased pocket knife an illegal blade, so long the officer has the skill to flick it open with one hand using a circular motion. The charge against Seager was ultimately dismissed and he sued the NYPD for false arrest, winning a $10,000 settlement in which the city admitted no wrongdoing. Responding to calls for reform, the NY Senate voted 61-0 and the NY Assembly voted 99-12 to redefine gravity knives. The bill would effectively legalize most small folding pocket knives unless there is proof the owner has some criminal intent. "There are just thousands of people getting arrested for simple possession of something they purchased in a hardware store or over the mail," said Dan Quart (D-Upper East Side), the Assembly sponsor of the knife reform bill. "That's not right." Last year, an I-Team analysis of a decade's worth of court records found more than 82 thousand New Yorkers had been arrested for minor weapons possession - mostly for knives. None of the arrests alleged violence. And almost 82 percent of the cases ended up being dismissed or pleaded down to lesser or non-criminal offenses. That suggests thousands of innocent people have spent unnecessary hours in handcuffs and holding cells, all because police officers declared their folding blades to be illegal weapons. Although Cuomo said he is still evaluating the knife reform bill, he expressed concern when asked about the tens of thousands of citizens who have been jailed for pocket knife possession. "The last thing you want to do is incarcerate a person. And the last thing you want to do is give a person a criminal record. If it can be avoided that's what you want to do," Cuomo said. As supporters of the gravity knife bill urge the governor to sign it, there are also powerful voices lined up against the legislation. The offices of Mayor Bill de Blasio and Manhattan District Attorney Cyrus Vance have issued statements warning that stabbings and slashings have spiked in recent months and legalizing folding knives could put police and civilians at greater risk. The I-Team inquired with the Mayor, the NYPD, and the Manhattan District Attorney. None of their offices could produce statistical evidence that the recent spike in stabbings and slashings is driven by gravity knives as opposed to razor blades, kitchen knives or any other sort of blade. "We do not track data to that level of specificity," read an email from the NYPD to the I-Team.